I love sharing my favorite brands with you guys especially ones that are produced in LA under ethical conditions and cater to a range of sizes, without sacrificing great style and fit. 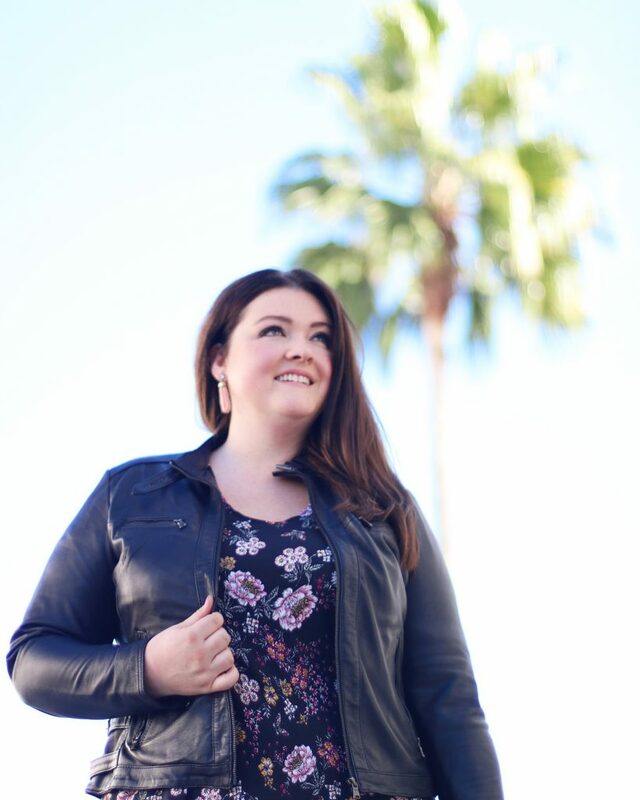 So, I was really excited when the iconic, classically California cool brand, Karen Kane, reached to out to me to review some products from their on trend Plus Size Fall/Winter Collection. I’ve had a love affair with Karen Kane’s comfortable, luxe fabrics and the versatility of her pieces for quite some time now. I love that they really do embrace a full lifestyle aesthetic, from the office to drinks after work, they’ve got you covered! All of Karen Kane’s pieces are so easy to style and I was immediately drawn to this Floral V-Neck Bell Sleeve Dress. I loved the soft stretch fabric and blush hues in the floral print on this classic A-Line silhouette, which works great on every body type! My dress paired perfectly with my knee high boots and leather jacket for after work drinks with friends. I am also obsessed with the Scallop Lace Palazzo Jumpsuit. I haven’t had a chance to shoot this look yet because I am saving it for an upcoming red carpet event! But, let me tell you, when I tried this on the fit was perfection and I felt amazing. I can’t wait to show you! 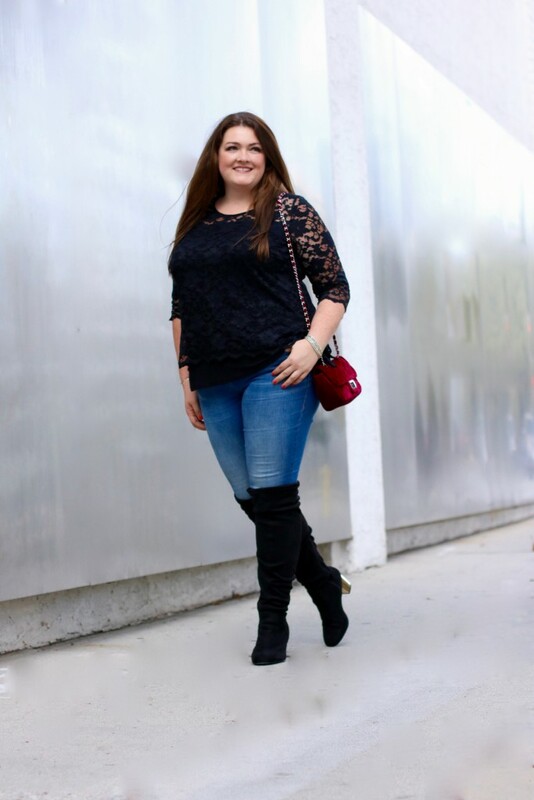 Another tried and true favorite was this lace side tie top which paired easily with my favorite denim and boots. Also, they have so many gorgeous holiday perfect dresses and tops online in lush velvet fabrics and metallics that were just released. (I really have too many favorites!) Did you also know they have the cutest, comfy athleisure pieces? With her sleek fabrics and go to silhouettes, Karen Kane really has something for everyone whether that be weekend lounging or a day at the office. So many cute things! I love love love the lace jumpsuit.